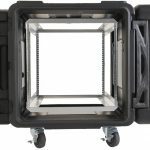 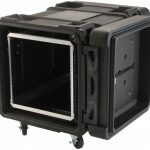 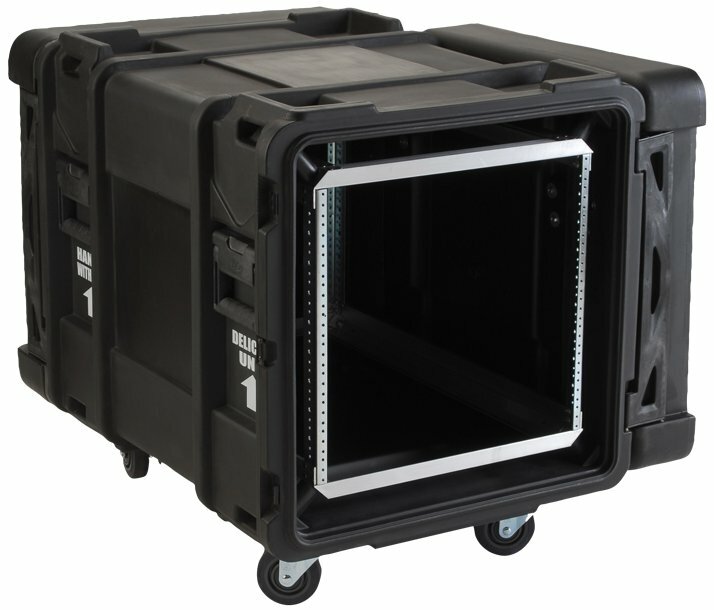 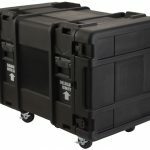 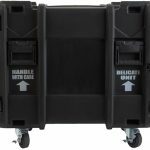 SKB’s 30″ deep rotomolded shock rack which should be an instant success with all companies utilizing the deeper servers such as the new Dell and Compaq. 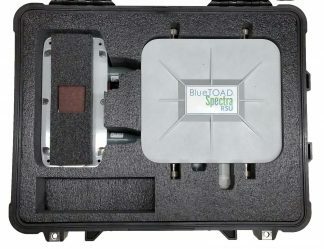 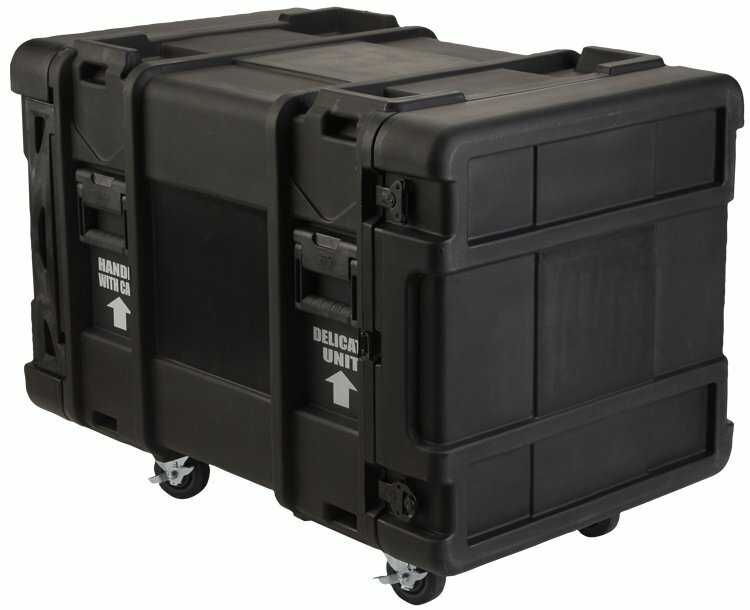 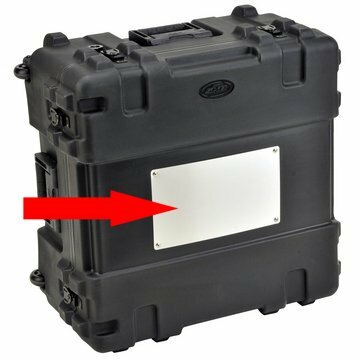 Nobody else manufactures a rotationally molded shock rack that is 30″ deep and that fits inside the center portion of the case. 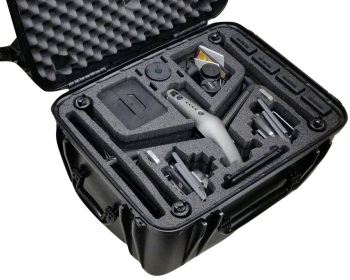 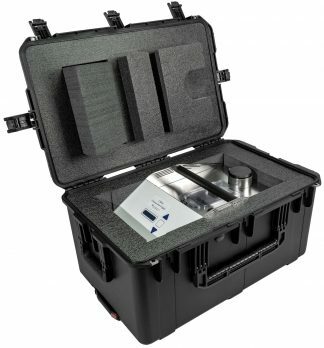 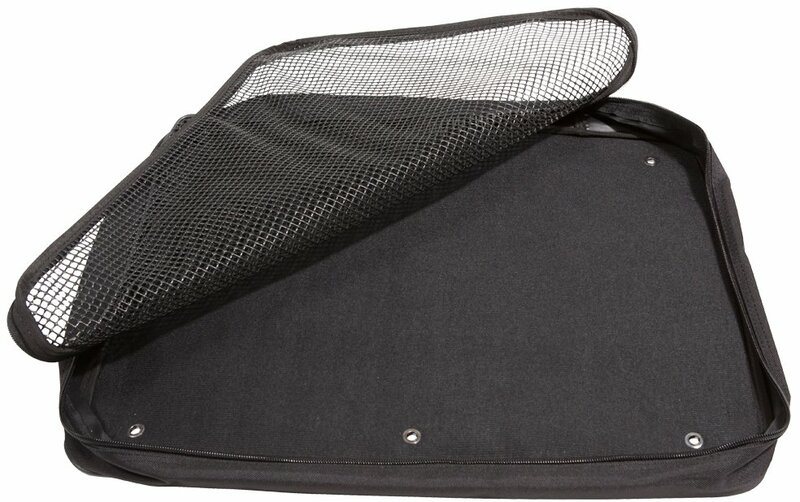 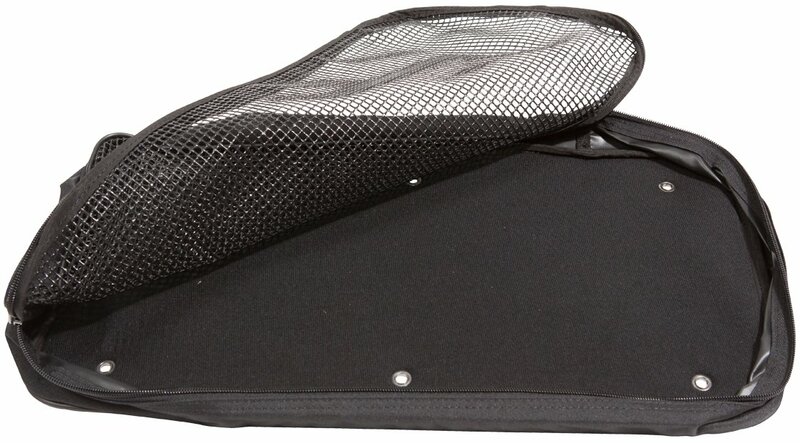 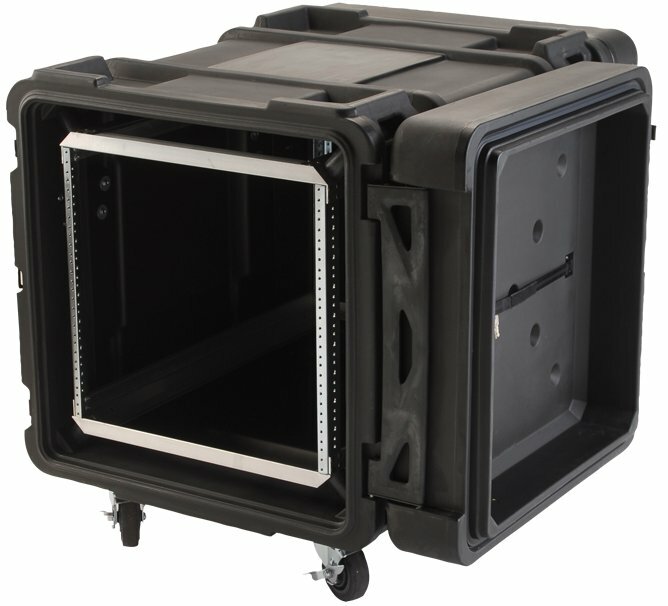 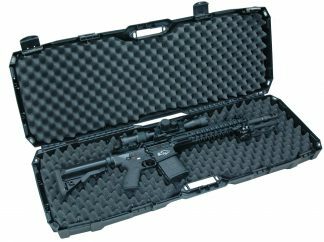 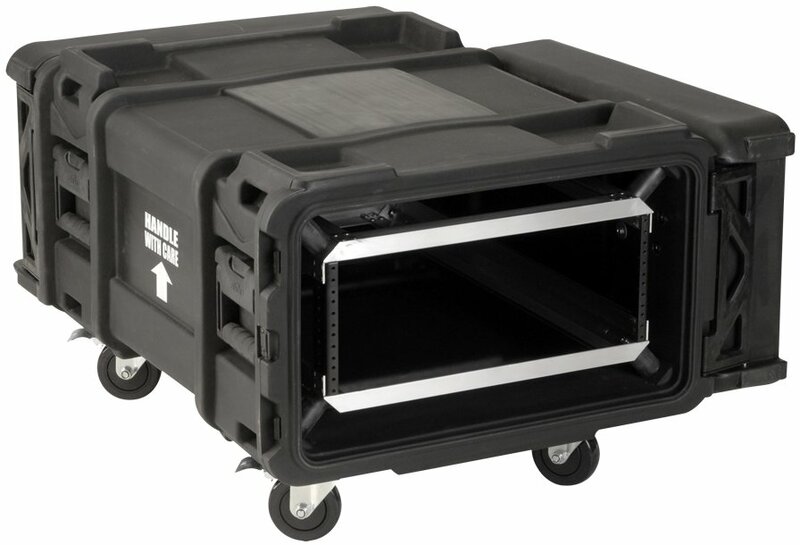 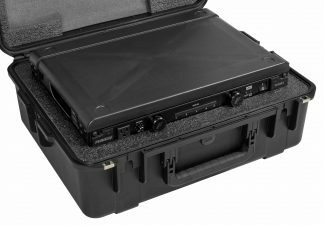 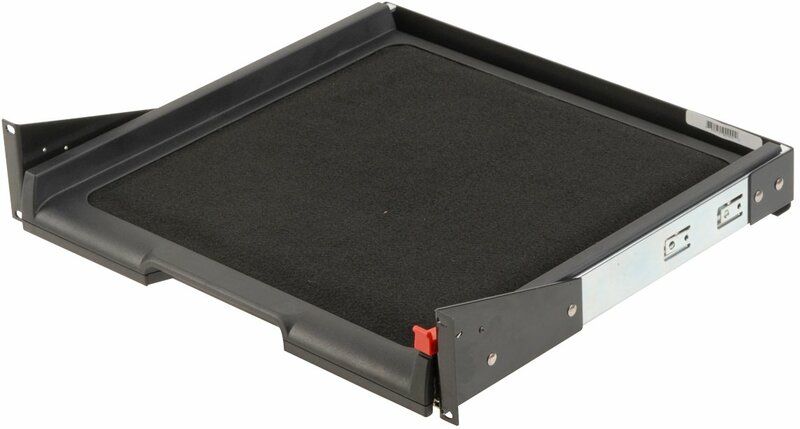 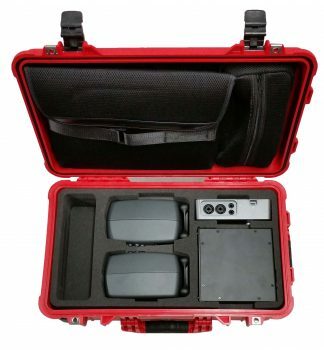 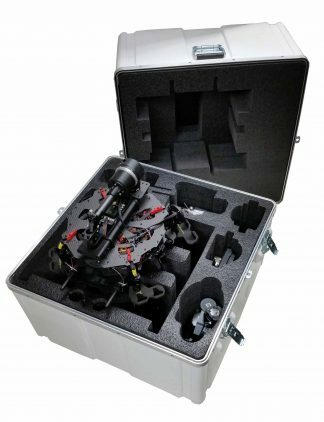 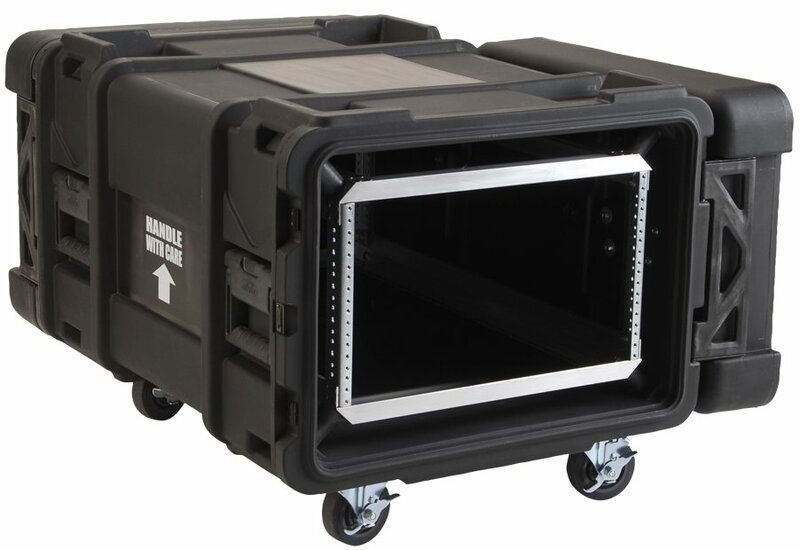 This case has all of the same great features as the 24″ deep Roto Shock Series. 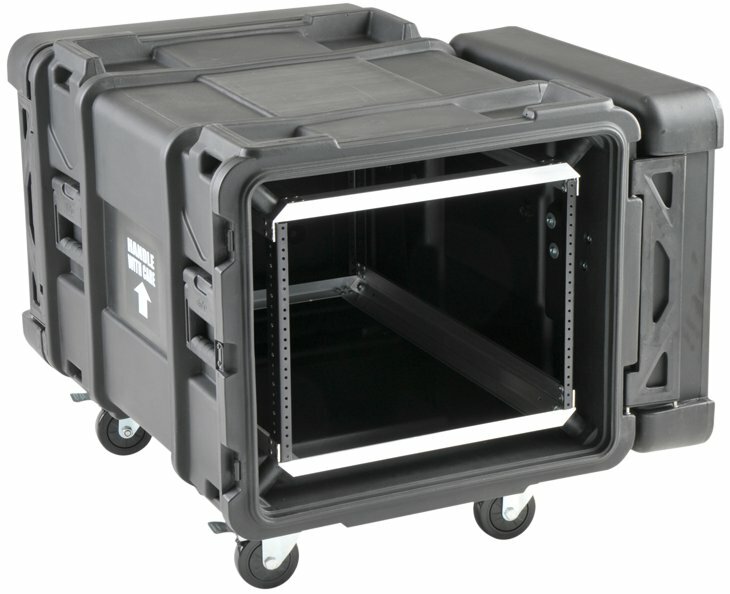 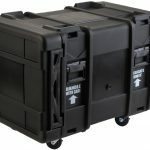 Standard features include: (patent pending) compound hinged doors, black powder coated stainless steel latches, removable 4″ casters. 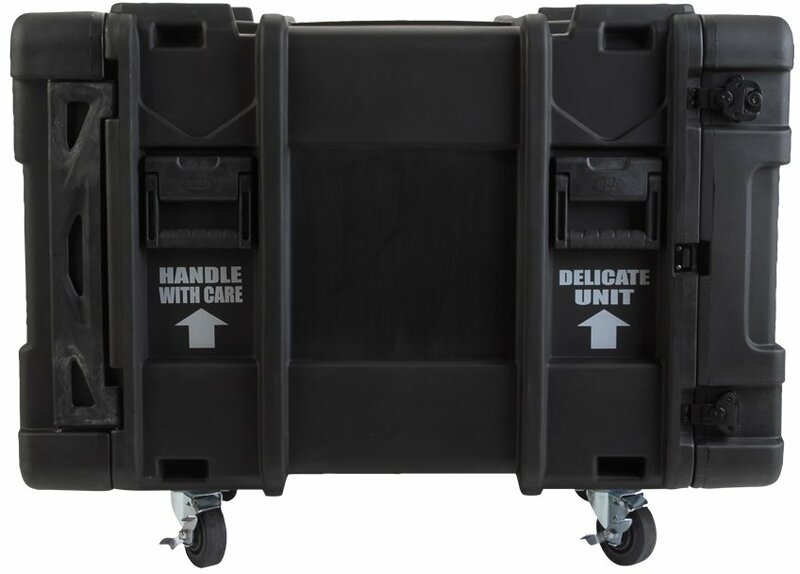 The inner rack chassis is built of high strength / lightweight aluminum alloy and 11 gauge hot rolled carbon steel rack rails to DIA-310 standards. 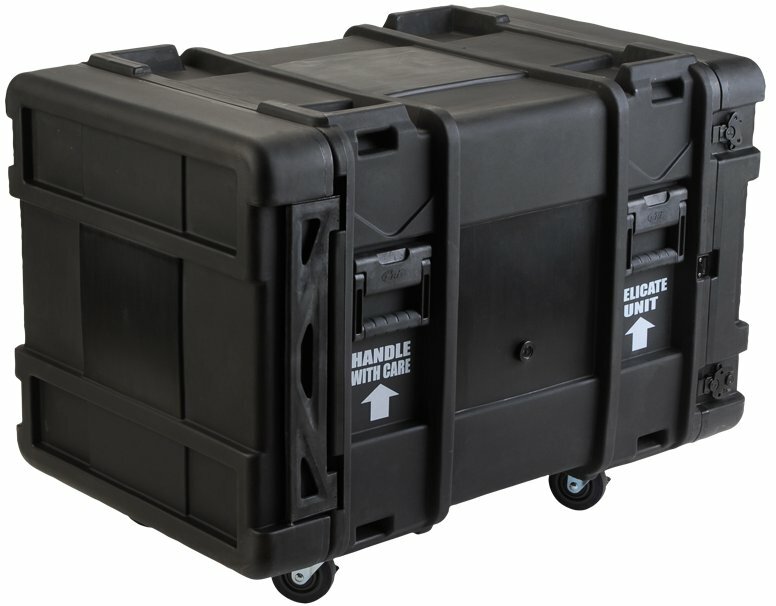 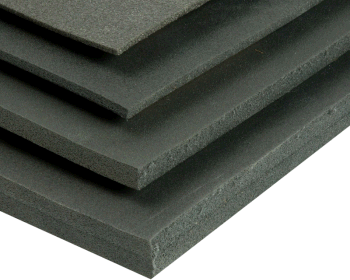 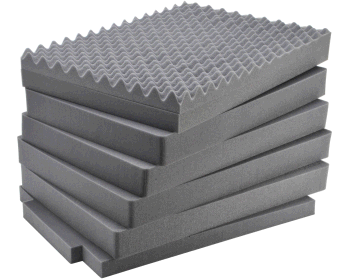 Shock and vibration mitigation is accomplished with eight (8) elastomeric isolators rated for a payload range of 40 lbs. 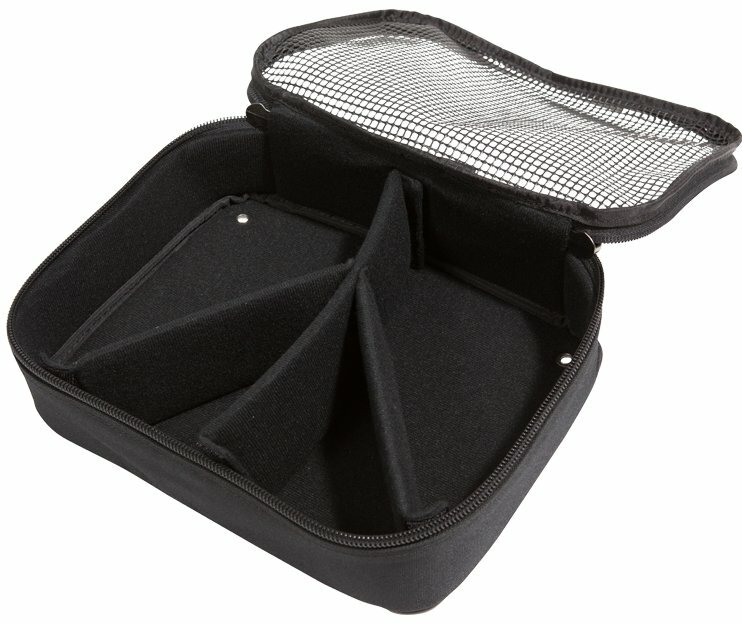 to 150 lbs. 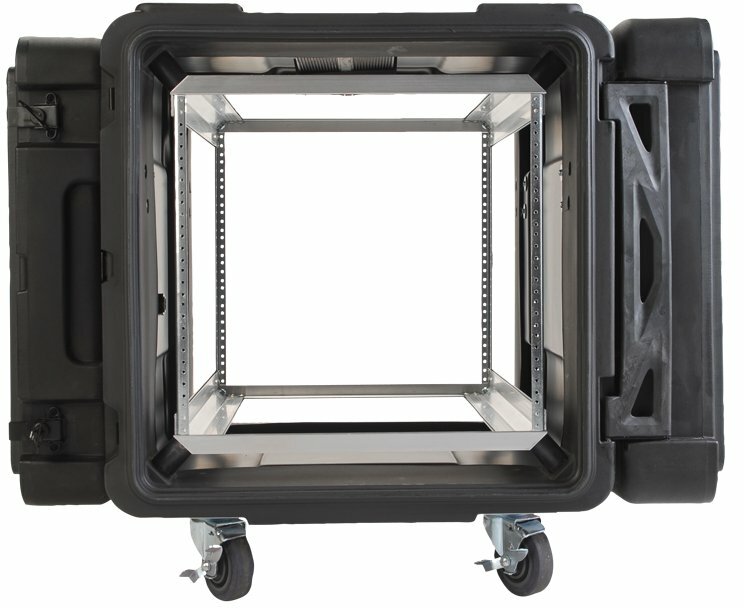 in a standard configuration and up to 300 pounds in a special order extended payload configuration allowing adequate sway space for ambient air circulation and heat dissipation with gasketed doors and pressure relief valve. 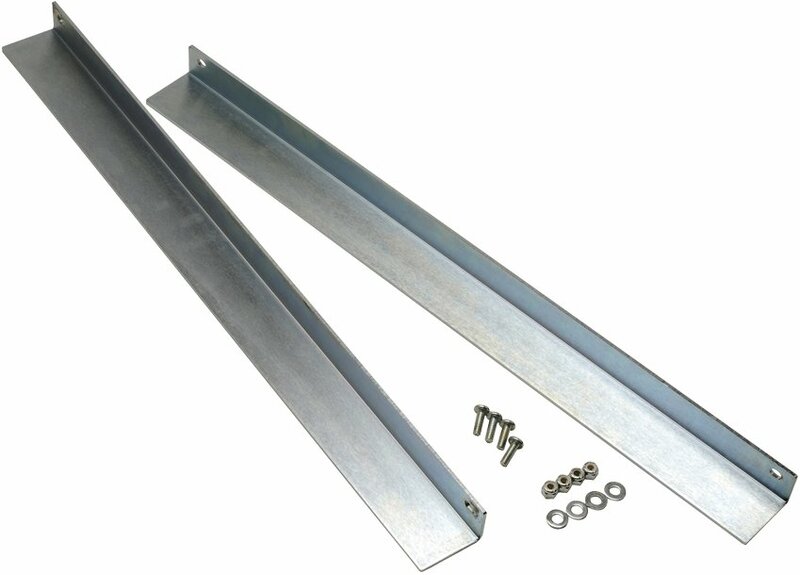 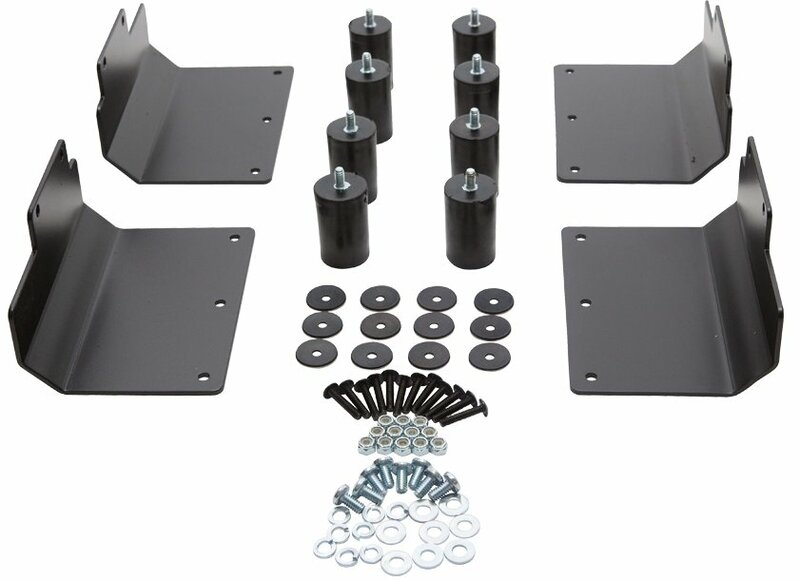 The rack rails come pre-threaded for standard 10-23 hardware and mounting screws are included.